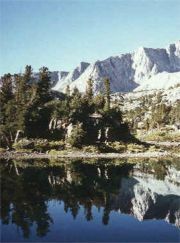 Wilderness Therapy Treatment - A non-profit consumer protection information, health, safety, referral & education site. Ultimately, the source of ethical behavior resides within the personal conscience of an individual. Businesses and organizations do not have a conscience or moral ethic - an individual does. Wilderness programs that are accredited, licensed and have licensed professional oversight within a program provide the highest level of consumer protection. Wilderness schools, therapy and intervention programs are a viable and increasingly utilized treatment option for adolescents who have emotional, psychological and behavioral problems. At the same time, there are many problems and challenges facing these programs. The science underlying wilderness therapy is fairly well understood. The ethical and philosophical basis in which these programs operate is not clearly defined. How can parents and referral sources for these program be assured these programs operate in a manner that demonstrates integrity, competence and social responsibility? Wilderness Schools, Therapy and Intervention programs are most commonly referred to as wilderness therapy programs. The issues presented in this article pertain to health and safety, oversight, and providing services that are professional, ethical and support a reasonable medical and mental health standard of practice. A brief background for understanding wilderness therapy is warranted before discussing the topic of this article. The intent of a wilderness therapy program is to challenge youth in nature and to do so in such a manner that is educational and therapeutic. In order for a therapeutic experience to occur, there must be a therapeutic opportunity. A therapeutic opportunity can take many forms and might involve a walk in the woods, camping or involving people in adventurous or challenging activities. More than a walk in the woods, Wilderness Therapy Programs provide a structured series of strategic activities, challenges and interactions within nature and between the participants. The heart of this endeavor is to expose students to nature, challenge them and to facilitate a reliable opportunity for "therapeutic experiences" to emerge. There are two important questions that parents and professionals must consider before enrolling a child in a wilderness therapy program. Who is ultimately responsible for the safety and well-being of children in these programs? On what basis are decisions made? In wilderness programs, there are many activities that are necessary to insure the safety and well-being of students while they participate in program activities. Responsibility is normally delegated from management and supervisory staff to other staff with various degrees of experience, training and professional backgrounds. The person who delegates responsibility should be qualified and responsible for the outcome. To delegate responsibility is to assign someone to act on your behalf. Responsible delegation, supervision and training of staff is the responsibility of management and supervisors. Clearly identify a qualified individual who has oversight, responsibility and the authority to insure the safety and well-being of students. A properly designed wilderness therapy program will have an innate ability to realign the behavior of children with nature, the inevitable realities of life and their real self. I have often observed that when people come to the wilderness, and leave their belongings and former life behind, they have an opportunity to hike long enough to "bump into their self". People tend to change for the better when they are free from distractions and activities that are essentially ways to escape and avoid discovering who they are and the impact they have on others. At the same time, simply placing a child in an active wilderness setting is not therapy. The risk of harm increases when policies and procedures are unclear, when hiring, training and supervision are inadequate, when students are not screened by qualified professionals prior to admission, and when there is no clearly identified person or department that is both qualified and has the responsibility and authority to insure the safety and well being of students. The issue of "who is ultimately responsible?" is critical to the safety, credibility, integrity and social responsibility of a program. In many respects, wilderness therapy programs are undergoing the same struggles that managed health care systems are experiencing. For example, the issue of responsibility in health care is most apparent in the ongoing debate in Managed Health Care where doctors and patients argue that the decisions of physicians are being limited, restricted or dictated by corporations driven by high profit motives and business ethics. Physicians maintain that professional health care ethics are being overridden by "for-profit" business ethics. Many physicians argue that consumers are not adequately informed or provided full and necessary information regarding treatment options. Whether you agree or not that health care is compromised by for-profit business ethics, a business or corporation can exert tremendous pressure on physicians that can undermine the integrity of a doctor-patient relationship. This increasingly takes place at the expense of the public's health and safety as well as the physician's reputation and license. Be competent through education, training and experience working in wilderness programs. Be required through their job description, training or professional licensure to follow a code of ethics and standard of practice set forth by a credible professional organization, accreditation body or licensing board. What are the Standards of Practice in a program and how are decisions made? Keep in mind that wilderness therapy is not a universal treatment for the problems that children bring to the wilderness. While programs can provide powerful interventions, there are a number of problems related to trauma, neurological disorders and disorders involving addiction that will remain to some degree and will require further support and treatment after a child completes a program. In addition, some students entering a program may fail to benefit, fail to thrive and may even decompensate in a wilderness therapy program. Therapeutic opportunities in wilderness settings can be provided on a individual or group basis, in structured or unstructured programs, and by licensed professionals or unlicensed professionals. Ethical Standards and Standards of Practice can be voluntary or mandatory. Specifically, ethical standards are set forth and are mandatory as a condition of licensure for medical and mental health professionals including physicians, psychologists, nurses, social workers, professional counselors and marriage and family therapists. Ethical standards and standards of practice are different than a program's policies and procedures. Professional ethics are guidelines and decision factors that help insure the integrity, competence and social responsibility of individuals . Ethical standards are guidelines and requirements which are normally a condition of licensure, accreditation or membership in organizations of professionals or businesses. Standards of Practice are specific expectations based on routine practices and professional consensus for professional behavior including the structure and delivery of services. Some standards of practice in mental health, evaluation, counseling and therapy are developed by professional organizations and adopted by state boards that license professionals to provide medical and mental health services. Standards of practice describe more than the imperatives for decision making, but also outline commonly accepted behavior and decision processes that are made in many situations. The purpose of professional ethics and standards of practice are to insure integrity, competence and social responsibility in the delivery of treatment, activities and services. The purpose of a policy and procedure is to run a company consistently within the directive of management. A licensed or accredited program essentially means the program has met certain organizational, personnel and service delivery requirements. This means the program is organized and administered in such a way that services provided are likely to follow a standard of practice. The standard of practice can be required by a licensing authority such as a state or county authority, or an organization that requires these standards as a condition of membership. The fact that a program is licensed or accredited provides some assurances, but program licensure or accreditation does not mean that internal oversight within the program itself is necessarily ethical, nor does it insure that a program will follow an ethical and reasonable standards of practice. The reason is simple. Programs and business are not personally responsible. Many organization have inadequate job descriptions and staff are so poorly trained that employees are at risk to find their self thinking, "It is not my problem or responsibility." A business or a program is an entity and not a person. Only a person can be personally responsible. At most, programs and businesses operate on a principle of organizational and social responsibility. This provides the advantage of spreading responsibility, but at the same time can make it difficult for a single individual to assume responsibility to act. Responsibility and authority in a company can become unclear when their is a "team" of people responsible and there is no responsible "team leader" with authority. Personal responsibility is a different matter than the responsibility of an organization. The purpose of team is to provide resources, opinions and to support those who are responsible. Licensed medical and mental health professionals are individuals who have met educational, training and professional requirements for licensure so as to assure the public that their services, the programs they work with and their staff will act with integrity, competence and social responsibility. This means that a licensed professional is trained and qualified through the licensure process to provide services within an ethical and appropriate standard of practice. The fact that there are licensed professionals in a business or organization does not guarantee that a program will be ethical and follow a reasonable standard of practice. A business or organization will only act in an ethical manner and follow reasonable standards of practice if the people in the organization assume personal responsibility, understand what constitutes ethical standards of practice, and they have the authority to act. Responsibility without competence or authority to act is meaningless. Ultimately, the source of ethical behavior resides within the personal conscience of an individual. Businesses and organizations do not have a conscience or moral ethic - an individual does. It is therefore critical that responsibility for children be placed on an individual. With such responsibility comes potential consequences for which the individual is more willing to take action reduce risks. Can programs without licensed professional oversight and without program licensure or accreditation provide ethical services and follow a reasonable standard of practice? The answer is maybe. But the more important question must be, "On what basis can a consumer be assured the program will do so consistently over time?" Maintaining state licensure or accreditation through an organization is based on the performance of an wilderness therapy program. Licensed or accredited programs and licensed professionals can be made accountable to ethical standard of practice. Failure to do so can result on loss of licensure or accreditation. The greatest risk in any wilderness therapy program stems from individual and management decisions that are incompetent and lack accountability. The second greatest risk comes from business and organizational structures in which responsible people have no clear authority to make necessary decisions. Upon what ethical basis and standard of practice do businesses and professionals operate? There is no clear cut distinction since businesses and organizations often have individuals who wish to act ethically and individuals who wish to follow a reasonable standard of practice. Licensed professionals are specifically trained and are required as a condition of licensure to follow an ethical code and standards of practice within their profession. On the other hand, the requirements of businesses and organizations are often less specific and stringent than the requirements of a licensed professional. Business and organizations are primarily responsible to a court of law and their customers. Licensed professionals are also responsible to the authority that grants them licensure. The level of personal accountability for a licensed professional is much greater than the level of accountability in a business or organization. Businesses and organizations that are accredited, licensed and have licensed professional oversight provide the highest level of consumer protection. Parents may feel more assured if a program is licensed and accredited, and there is a responsible and competent person who has the authority to insure that their child is safe and that a program is both ethical and follows a reasonable standard of practice. In contrast, parents should be concerned if a program is unlicensed, not accredited and no single competent individual in the program is clearly responsible for their child. Responsible professionals must have the authority to insure that program policy, procedures and behaviors reflect competence, integrity and socially responsible behavior. Obtain the services on an educational consultant or mental health professional who is familiar with wilderness programs and has information regarding the practices within specific wilderness programs. This can save you a lot of time and provide you with a deeper understanding of the history and practices within various programs. Thoroughly research how each wilderness therapy program under consideration operates. Talk with former students and their parents regarding the practices within particular programs. Familiarize yourself with the material referenced in this article.